Neither of us has had a sip from a coconut since we had visited Malaysia a couple of years ago. On that occassion, under a sweltering Langkawi sun, we had tried the taste. It was bitter and nasty and didn’t go down well. Today we were pretty much coerced into trying one for the first time since that disastous incident and we were both pretty reluctant to give it a go. Oh how wrong we had been. The one in Malaysia must have been a dud cos todays was refreshing and delicious and I wanted more. We experience so many new things on our travels, but today we got rectify a previous not so good experience! Our first job for today was always going to be finding transport to get ourselves out of the National Parks. We knew there was no way that they were going to allow us cycle and so it had boiled down to the following options; either take a bus, storing the bikes on the roof rack, pay a guy with a jeep to load everything in and drive us through or find someone with a truck who was going that way anyways and see if they’d be kind enough to take us along. We decided to go with the third option, not only would it be free but we’d also, hopefully, be able to fit in our bikes and baggage quite comfortably. At 8am, the crossroads at Masinagudi was a little too quiet for our liking. The only trucks passing us were all headed in the wrong direction and I began to think that we might have to go for the bus option if things didn’t pick up soon. As we waited for suitable transport to pass through, we got talking to a guy who worked as an ornitholigist in the park, he told us that a cyclist had been squashed last year in the park by an elephant and he assured us that it wouldn’t take us long to get a lift. Comforted that we were doing the right thing by not trying to sneak around the forest rangers, we waited a little longer. When suddenly our saviour appeared in a three wheeled milk truck. Despite the fact that we couldn’t understand him very well, we managed to ascertain through a series of hand gestures and head wobbles that he was going the right direction and that we could throw our bikes and indeed ourselves into the back of the truck. No sooner had we putt-putted a short way down the road than it was time for a tea breakand so we unloaded ourselves and grabbed a steaming cup of tasty chai. Once again we reloaded and set off properly. Passing through Mudumulai, the Tamil Nadu National Park, we once again saw dozens of deer, but once again, those wild elephants remained elusive. On leaving the national park, the bored check post police seemed pleased to have our attention for a few moments to alleviate their boredom for a short spell and we played a quick game of “21 Questions” with them before heading off on our way again. A few hundred metres down the road, the other passenger our kind driver had picked up, hopped out and we took advantage of this to abandon the flat bed of the truck and jump in the cab with driver. He told us that he travels from one side of the National Parks to the other each day with the milk delivery and that in the evening time there were lots and lots of bison, elephants and other wildlife to be seen around 7pm. 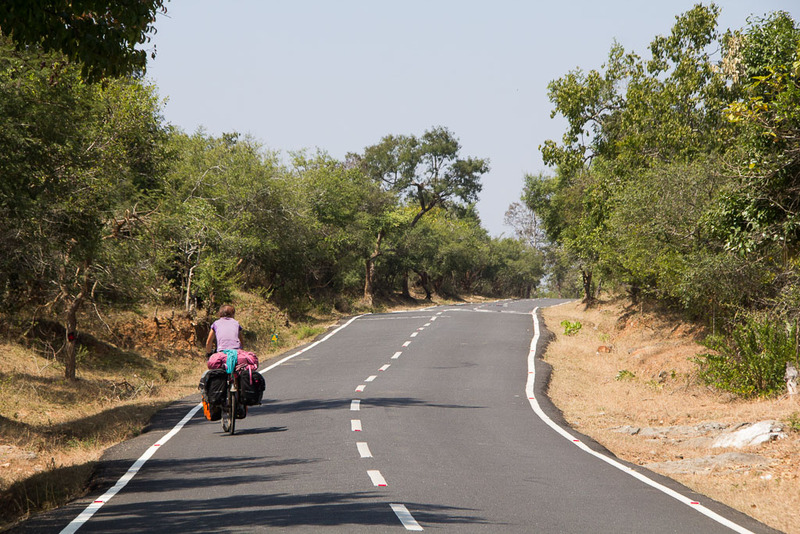 Again, through the Karnataka National Park, Bandipur, we saw not one single elephant although we were treated to the sight of a wild boar as we passed the checkpoint. It was after we had exited all the dangerous areas that Nandeesh, the guy driving us insisted that we have some coconut and we pulled up at one of the frequent roadside stalls to have one hacked open for us. I’m only sorry that I didn’t give it a second chance before now and we both sipped the tasty juice with relish. 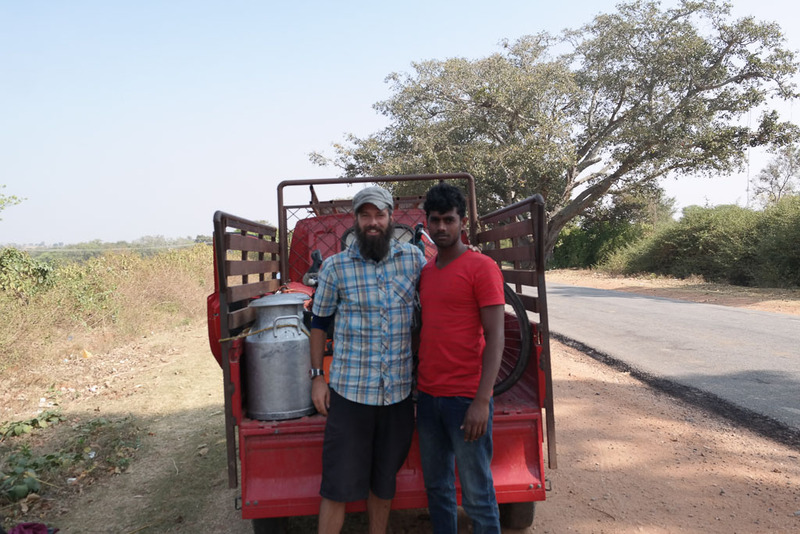 Suitably refreshed and having reversed our opinions on the previously maligned coconut, we hopped back into the little truck for the final bit of our journey in the milk van. 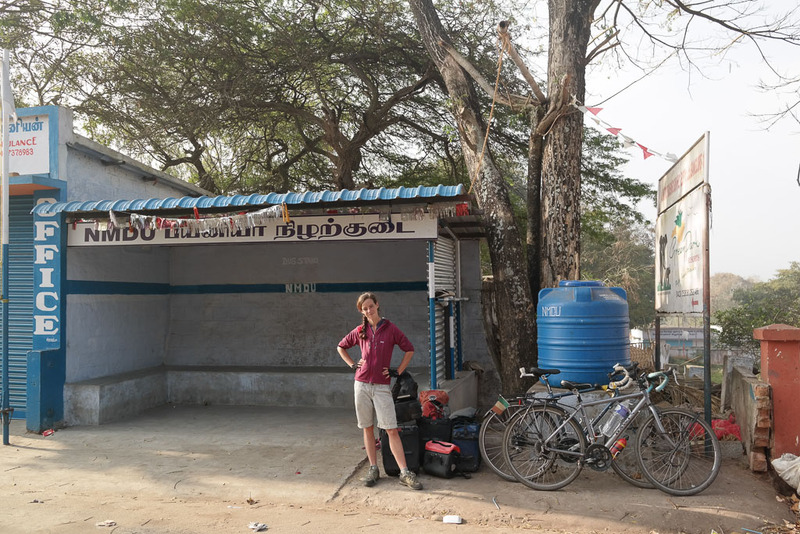 As we neared Gundlupet, the little van screeched to a halt and Nandeesh gestured that this was the last stop. 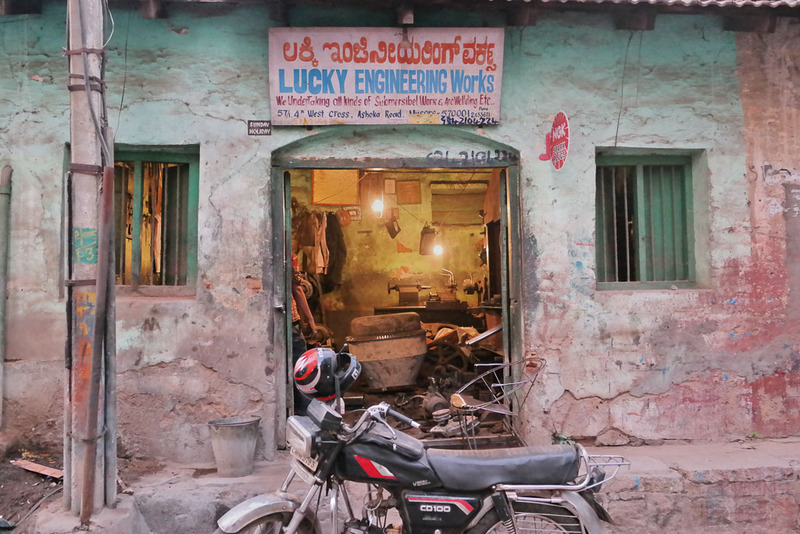 And so we parted from him abruptly along a dusty route heading north to Mysore. We were once more alone with our bikes and with the sun high in the sky, we had a fair idea it wasn’t going to be the easiest of rides, especially with Sam now suffering fom my nasty cold. The going was pretty fast, and we made good ground for the first 60km. 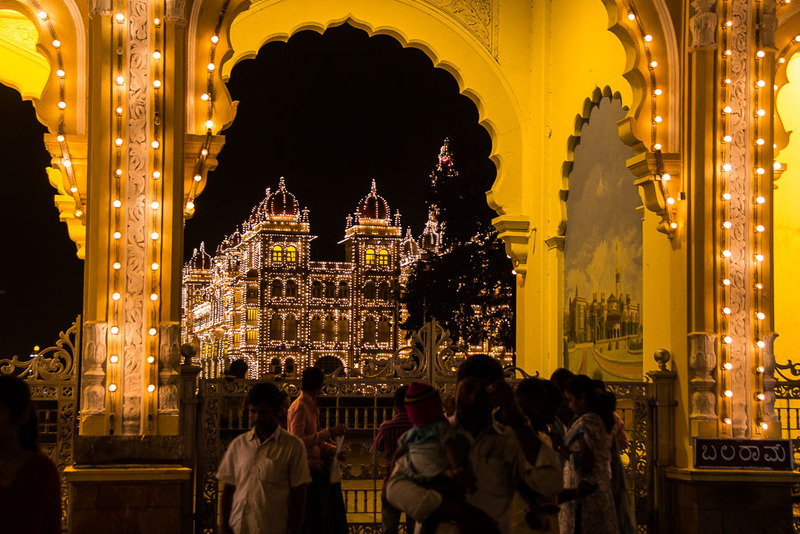 As we neared the city of Mysore, the traffic got heavier and heavier and the road surface that had been pretty good up until now began to deteriorate. We jostled for space with all the usual suspects; tuktuks, buses, motorbikes and scooters. We soon left the crazy main artery into the city and found ourselves cycling along beautiful tree lined avenues in light traffic.We continued our last few kilometres along these pretty streets and soon found ourselves at our destination. Tonight for the first time, we are using Couch Surfing. 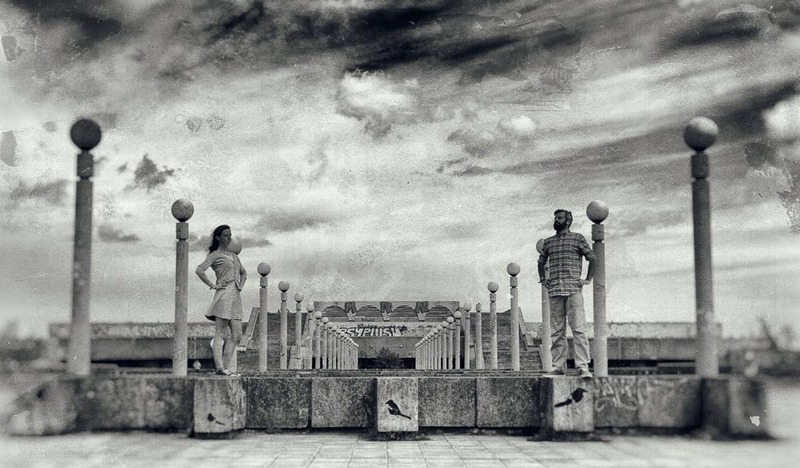 It’s a world wide network of people who offer a couch or bed for the night, and despite being registered on the site for some time, we’ve been a bit nervous about using it. 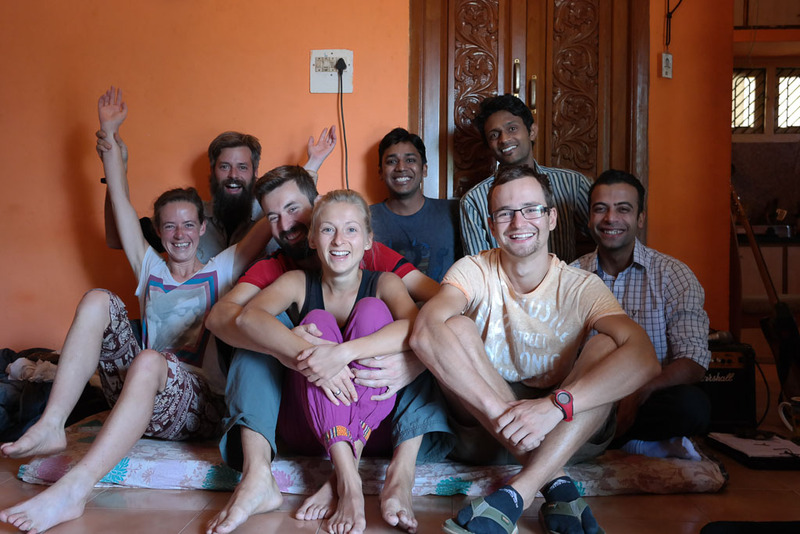 We needn’t have been, we got the warmest of welcomes from Mayank, who showed us to the house where we met lots of other couch surfers who are staying here too; Cyclists from Kazakhstan, Czech Republic and Brazils and a guy travelling from Germany. So between the Indian guys who live at the house and all of us visitors here, it’s a lively place! 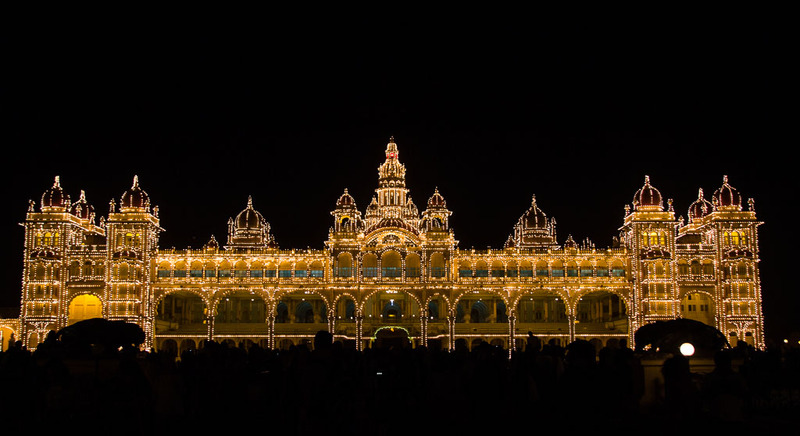 We cleaned ourselves up and headed in to the palace to see it lit up in all it’s beauty. It really is spectacular. Our evening has been spent chatting about cycling, life in India and generally having a great time relaxing. 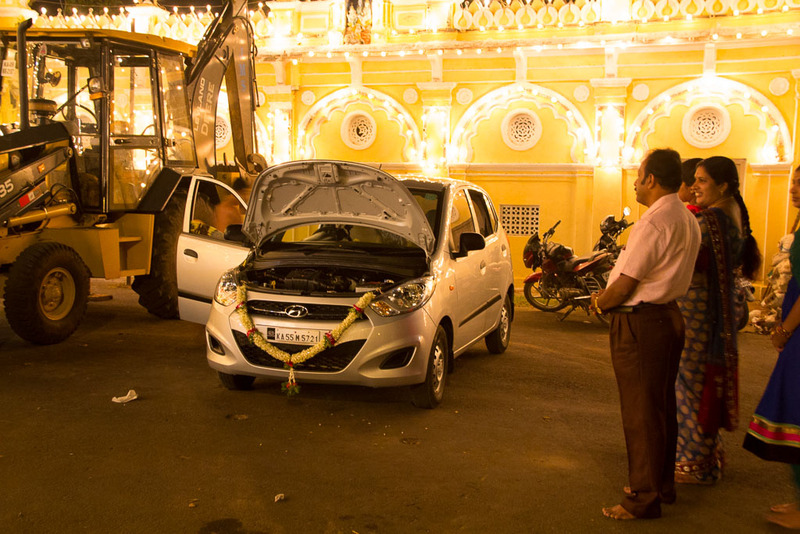 I suspect Mysore might have a hold on us for a few more days yet………..
People take their new cars to a temple to be blessed! 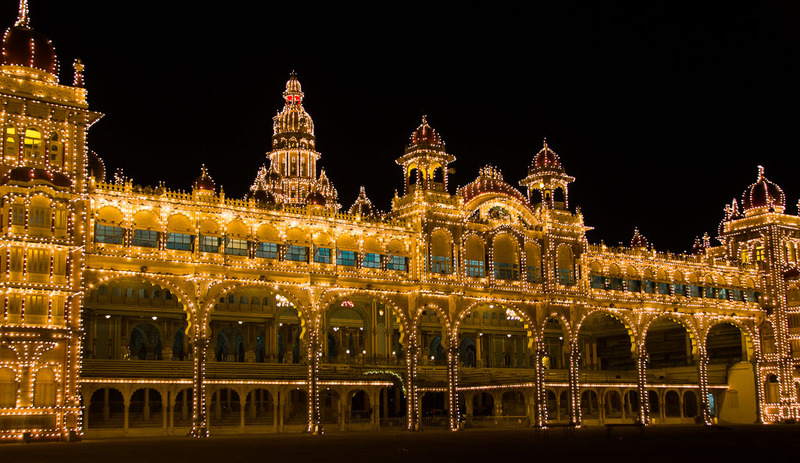 Mysore palace on a Sunday evening. ← In India, Yes means No. Don’t believe everything you hear!